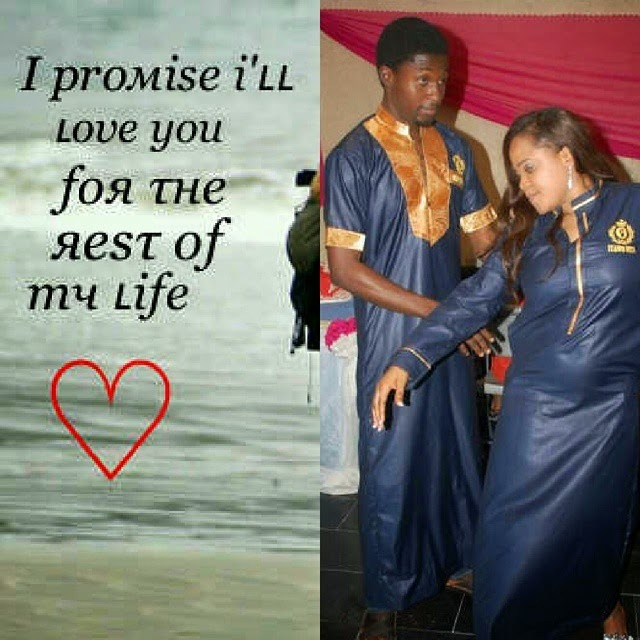 Toyin Aimakhu and her husband Adeniyi Johnson say they have listened to their fans and decided to make their marriage work. This is coming after news of their separation amidst infidelity reports broke yesterday, read here. Earlier in a chat with tha reporter, the husband said “Whoever says that my marriage is shaken is the person whose marriage would shake and I am still with Toyin, we are still together please.” Now both have released a joint statement which they posted on their social media to share their thanks to fans who called on them to remain together. With the heart of appreciation and sincerity we write: There's no fire without smoke.. for every marriage and journey there are moments of storm, that was our stormy and trying times. The recent event obviously made us know how important our marriage is and that a lot of lives and destiny are attached to ours, we never knew the weight our marriage carried until now, we discovered a lot of destiny and glory hangs on our own... may we not let GOD and you down.... To the bloggers who blogged we appreciate you, u might think you wrote a news but it turned out to restored our happiness and home back so to all the bloggers we say a big thank you. We've learnt our lessons, corrected our mistakes and choose to move on. This event made us know who our friends and well wishers are... we are short of words and filled with gratitude 1st to our parents, our spiritual parents, adopted parents, friends, colleagues and fanssssss...OMG!!! Our fans you guys are the best... for your calls, text messages, mails, pings, whatsapp messages, facebook comments and messages.... we love you all... the bible says when we pass through fire it won't burn us and through water it won't drown us and whenever we pass through storms it will not over power us(isaiah 43:2-3). I knew not thought it was a publicity stunt. From this they will definitely know who their friends are, who sold the story to blogs etc.